In this page there are "isolated" drawings made for varied ocasions. They are drawings that do not require an exclusive page to be presented and that, for one reason or another, I did not want to leave out of this "portfolio". This page received little contents update in the last years. I will put here other drawings I have stored in the drawer when appropriate (right now, some are "reserved" or are of "personal use") and when I have time to do so. SENAI held a contest to see who would elaborate the coolest mascot for its Olimpíada do Conhecimento (Knowledge Olympics) 2014 event. I came to know about that contest one week before the deadline for application. That character to the side was my suggestion for mascot. It was what was possible to make in about 14 hours of work between saturday July 12, 2014 and the following Tuesday. The illustration was not one of the five selected for public voting. Apparently, the work went to limbo, what a pity. In this moment of history in which we have extreme and gratuitous violence in all media channels, I made a skit with a character stereotype that is usually delicate and cheerful: a beautiful little fairy. This illustration will become a print for a T-shirt of mine. The first version of this drawing was made with outlines on paper (mechanical pencil and pen), digitalized and colored as a bitmap with solid colors on the computer. The initial outcome was not very satisfying. 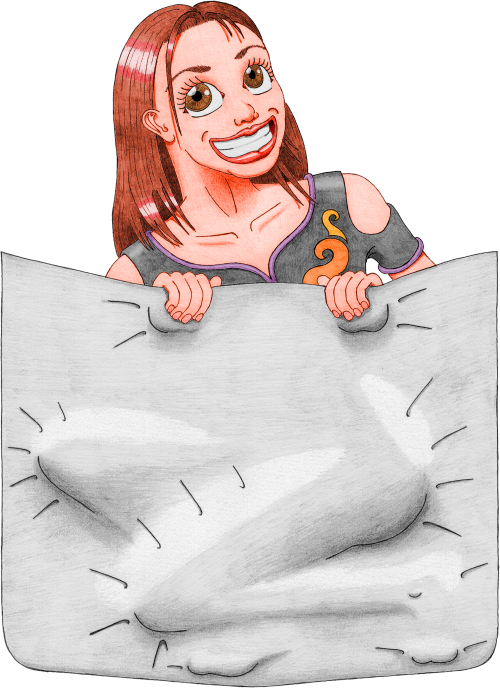 Since I wanted to learn to use other graphic tools, I decided to do this vector version with Inkscape (which, by the way, is free and fantastic). As usual, I started with a rather complicated approach and I took an insane amount of time to turn the illustration into vectors and to color it. I finished it by March 2014. 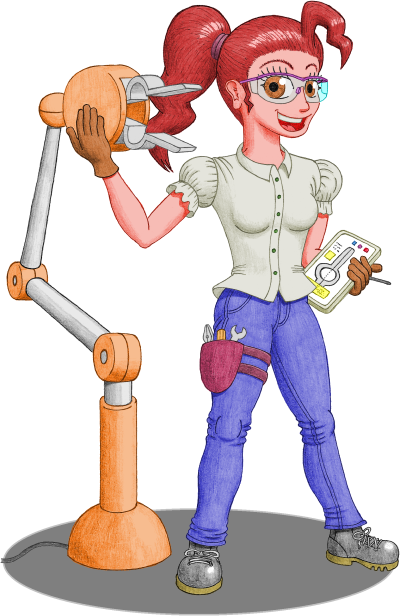 Fortunately, the result pleased me very (the drawing itself was improved in comparison to the original version on paper) and, considering the way I built the illustration in Inkscape, it became easy to change and toggle colors, lights and shadows. Thus, I think I will have interesting byproducts of this drawing. 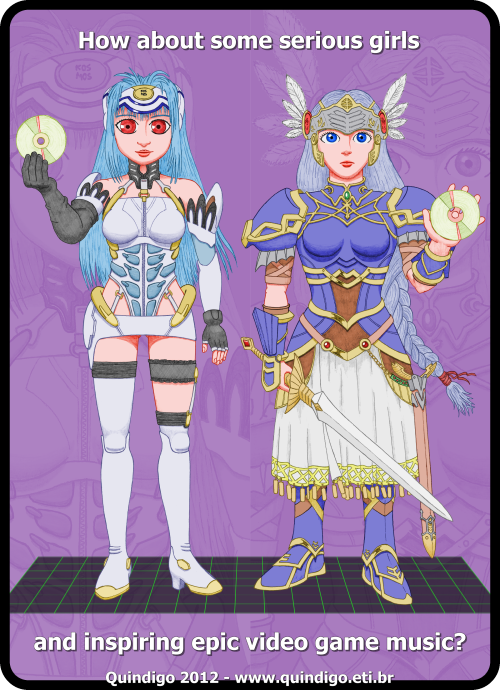 These adorable video game characters are KOS-MOS (in her first modeling, the one from Xenosaga - Episode I: Der Wille zur Macht) and Lenneth Valkyrie (from Valkyrie Profile, also present in Valkyrie Profile 2: Silmeria). For he/she who still doesn't know them, I make it clear that I unfortunatelly don't have anything to do with their creation; I am nothing more than a fan paying homage. The purpose of this composition was turning into stamp on two T-shirts, one that I would use in the 2012 edition of Video Games Live in São Paulo, and another that I would deliver to Tommy Tallarico, producer and star of the show. The three games I mentioned above, besides being spectacular, have incredible soundtracks that I don't get tired of listening to. To prepare the composition and the T-shirts was my way of suggesting Tommy to consider some musics of these games for future shows playlists and of letting out some of my craziness for these remarkable characters. This was the first time I attempted to draw video game characters. It was an extensive and rewarding observation exercise. 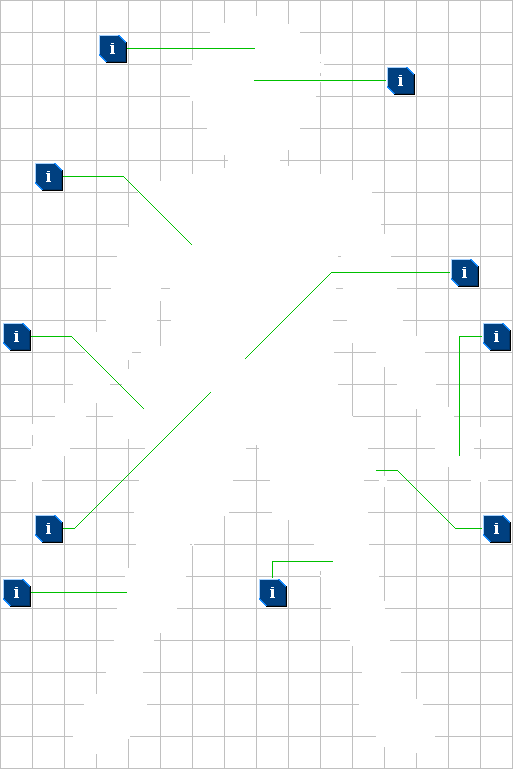 I studied some "official" imagens of them in order to draw them in this configuration. Since both have several details and only in the last week I made up my mind about making the composition, I had to hurry with the drawings (the faces lacked some dedication). Outlines and shadowings did get ready quickly, but, as for the colors... I invested an insane amount of time to make the corresponding color maps. Definitely, I am doing this the wrong way. It's about time to embrace other techniques and to get other tools. For my transient frustration, the T-shirts did not get ready for the 2012 show. In the 2013 show, however, I managed to deliver Tommy's T-shirt, after asking him and his guests to pose for a photo while holding the T-shirt. In the pictures below, from left to right, we have Emmanuel Fratianni (music director and conductor), Jillian Aversa (vocalist, songwriter and performer) and Tommy Tallarico (video game music composer and musician). Wherever I go to, I take my beloved along with me, in my heart.. But what she actually wanted was to go for a ride in my pocket! Then I finally found an alternative to meet this desire. This drawing was made especially in order to be printed on a white T-shirt that I wear with pleasure. It was a work with a pleasant and gratifying result done in October 2010. 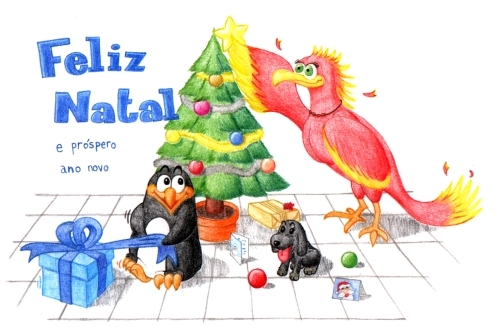 Another "Christmas card" I published in my site, this time with Quindigo and his alterego. I wanted a drawing more elaborated than the one from the previous year and in the end I did not have time to finish the corresponding colors map. Before the Christmas of that year went by, I published the drawing in one color scale. "2006 was a year of several changes. I am on my feet thanks to the support and kindness of my family, my friends and work colleagues. Probably my shy and proud way does not allow you to know how important you are to me. I wish everyone a great Christmas and a New Year full of joy and conquests! Yup!" 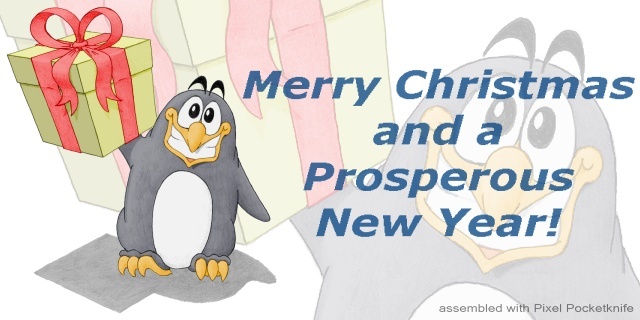 This is a "Christmas card" I published in my site. Also good for doing site and Pixel Pocketknife merchandising. I opted for a simple drawing in order have enough time to finish it. I want to express my wishes of good festivals and a promising new year. May peace and joy be always present. Yup!" Know Quindigo - it can be worthy. 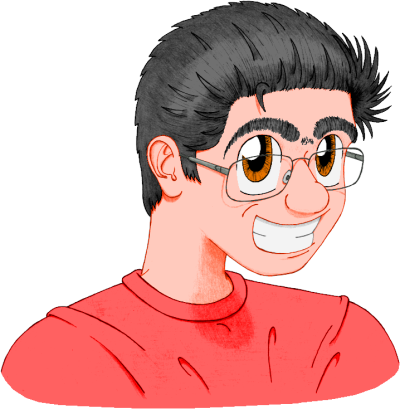 For the ocasion of the first version of this web site in 2004, I made these self-portraits to illustrate the page about Quindigo. The "i" icons of Quindigo in details should show tooltips with explanations when the mouse pointer passes over them, but it seems that this feature does not work in all web browsers. Knowing about my inclination to drawing, one of my bosses at Compumax asked me to come up with an idea for the emblem of the motorcycle club he and friends were about to found. The final result of the effort, approved, is located below. I think that the motorcycle club is no more. I used to get happy when I saw my boss wearing a waistcoat that had the emblem embroided in the back. The eagle outline was made with pencil and pen, scanned and then coloured in a simple way with Microsoft Paint. The drawing itself had to be simple enough so it could be embroided and, by that time, I did not had Pixel Pocketknife yet. 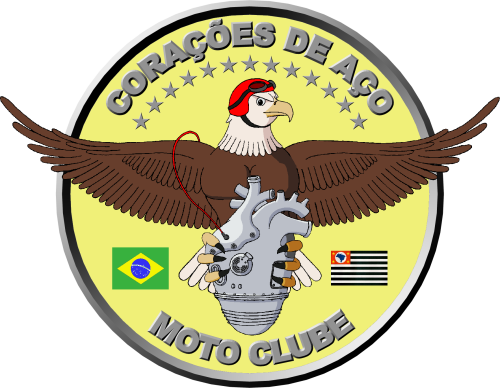 The "CORAÇÕES DE AÇO MOTO CLUBE" words were created and saved as clipart in PowerPoint. The frame with stars was made with the aid of Xara 3D. The year 2000 Christmas was tough! I had had an accident upon crossing a street and was with the left leg immobilized, confined in my house. With restricted options for activities for free hours, I made the drawing below and sent it to relatives and acquaintances. The phoenix represents my first wife. The presence of the black canine is a homage to Pandora, a pet that stayed only two weeks with us. 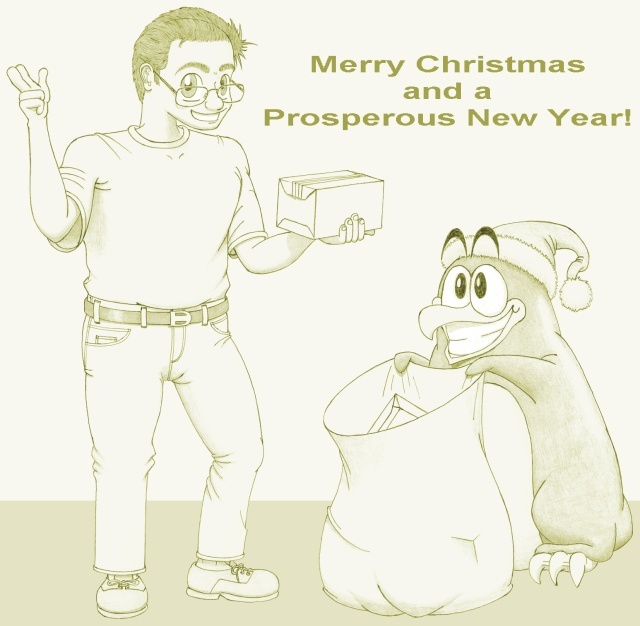 The penguin, guess what, it's me - but there is no relation between that representation and the Linux operating system. The drawing was made with mechanical pencil, coloured pencil and simply scanned.